I hope you all are having a fun Memorial Day Weekend. We didn’t really do anything special this weekend since I am busy studying for the CPA exam, and my boyfriend worked on Saturday. 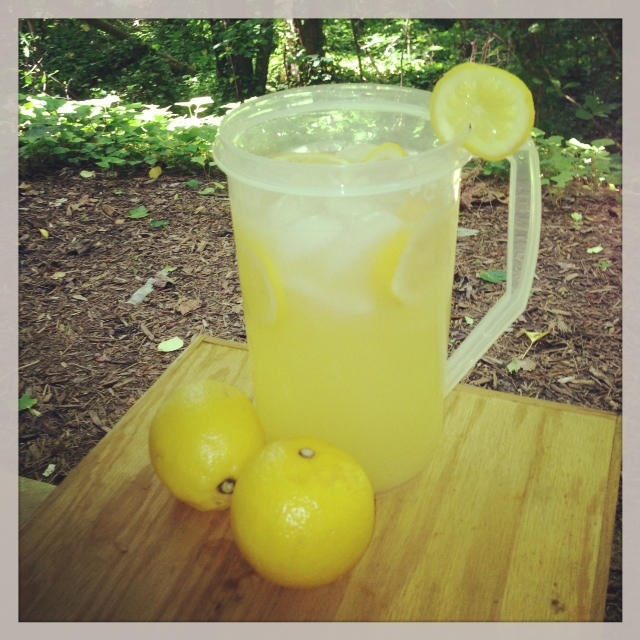 Today I made lemonade for the first time after some inspiration from a vegan gal I follow on Instagram. This is the classic summer drink, and I made it with raw agave nectar instead of the usual processed, refined sugar. Raw agave nectar is an all-natural sugar replacement made from the juice of the weber blue agave plant. You can use agave nectar as a sugar replacement in all recipes. My bottle suggests you use 1/2 to 2/3 cups of agave nectar per 1 cup sugar in recipes. Raw agave should be selected over pasteurized agave so that the enzymes aren’t killed and will aid in digestion. Other benefits of agave nectar are that it has a low glycemic index, and it even helps with calcium absorption. Juice/squeeze 3 1/2 lemons. Pour the lemon juice in a pitcher. Add the water and raw agave nectar to the pitcher. Whisk the ingredients to blend. If it is to your taste preference add ice to fill up the pitcher. Also add the slices from the remaining 1/2 lemon to the pitcher. Optional, add fresh mint leaves for a nice twist!